Even the return of Jim McInally failed to lift this United performance, after which Tommy McLean bemoand. After startinq off well enough this was quite a poor performance, especially in the second half during which we just petered out. The bright opening to which he referred saw Owen Coyle head narrowly wide after a head flick from David Hannah in the 5th minute. Nine minutes later, Lekovic pulled off the first of several fine saves when he was at full-stretch to keep out David Hannah's shot on the turn. Apart from a low diagonal drive from McIntyre which slipped past the post. 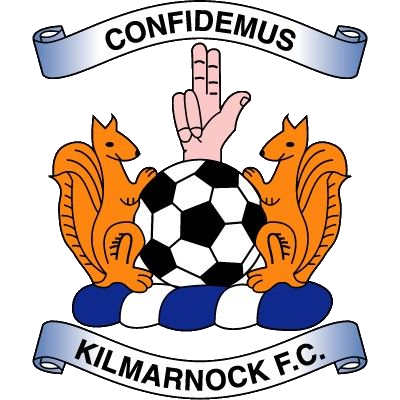 Killie had posed little threat in the opening half hour, but the loss of David Hannah with a badly swollen eye after a clash of heads with team-mate Rab Shannon, saw United have to survive a sticky spell before the break. Seven minutes before half-time, Jim McInally proved his resourcefulness by blocking a Montgomerie shot from a dangerous position. 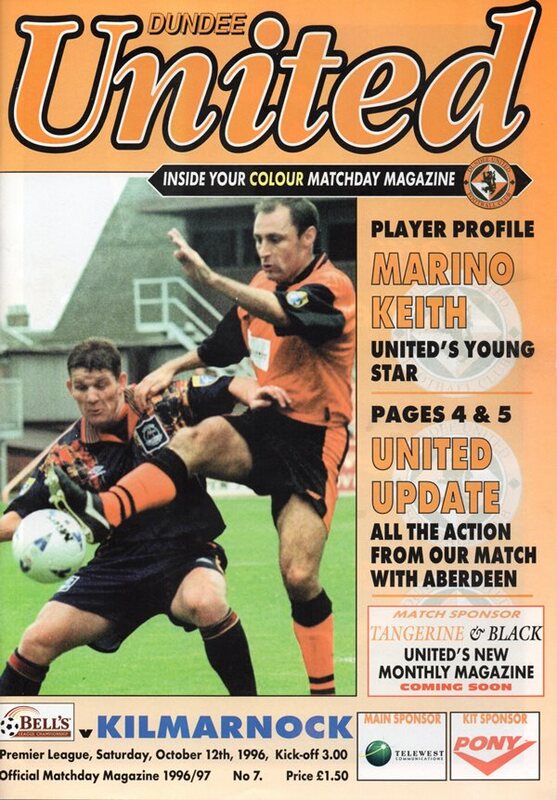 Then a couple of minutes later the Tannadice Old Boy ,starting his second spell with the club, ensured that United went in on level terms when he cleared a McIntyre header off the line. No doubt with the wisdom of Tommy McLean's interval team-talk behind them, United made a much more positive start to the second period and only some great goalkeeping by Lekovic kept the Tangerines, and more specifically, Dave Bowman at bay. The Tannadice skipper took a pass from Owen Coyle to let fly from just outside the box and Killie's Yugoslav keeper, not only made a great block, but followed that up with another fine reaction save to Jamie McQuilken's effort after the ball had run loose. A near carbon-copy of the Owen Coyle - Dave Bowman move 13 minutes later brought an even more exacting test for the visiting keeper as the United captain's booming first time effort took a deflection, only for Lekovic to somehow turn the ball round his right-hand post. From hereon in United lost their way in an attacking sense and there was one heartstopping moment when McKee went down in a heap in the area after a challenge from Maurice Malpas but the referee waved play on, allowing the Tangerines to claim a point from a none too convincing display.